I'd personally say that the 1.8 is either slightly better or both are so similar as to have no practical difference. A case for the 1.4 being better is very difficult to make. Pricing wise in the UK: £149 for the 1.8G and £279 for the 1.4G, inc. VAT - the entire money you pay for the lenses to appear at your door. Per RW's test: PL25 and Oly 50/1.8 'identical' optically. Let's say this is similar to the Nikkor situation. 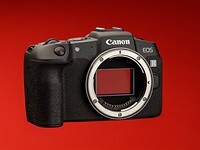 Pricing wise: £369 for the 1.8 and £399 for the 1.4.